Deal Categories: Gym Apparel.Stores: MyProtein. Today only – a combination of 35% OFF + 60% OFF Winter Clearance at My Protein + Free Shipping. Add any item to your cart and use coupon MAR35 during checkout. Deal Categories: Gym Apparel.Stores: eBay. 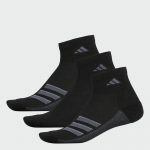 The price on these adidas Men’s Superlite Quarter Socks 3-Pack, drop from $14 to $7 to $5.60 shipped in cart at eBay. Deal Categories: Gym Apparel.Stores: Nike. The price for the Nike Air Max Axis, drops from $90 to $67.99 to $54.38 shipped at NIKE. Use coupon SAVE20 during checkout and bring the price to $54.38. Nike members get free shipping & returns. Create a free Nike+ account for free shipping. This is the best total price we saw by at least $12. Deal Categories: Gym Apparel.Stores: Tilly's. 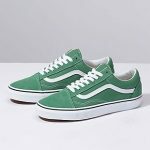 30% off select Vans Old Skool Sneakers.